Can We Get You a Coffee? - Together, We Make Memories! Or, how about a cool mug to put it in? 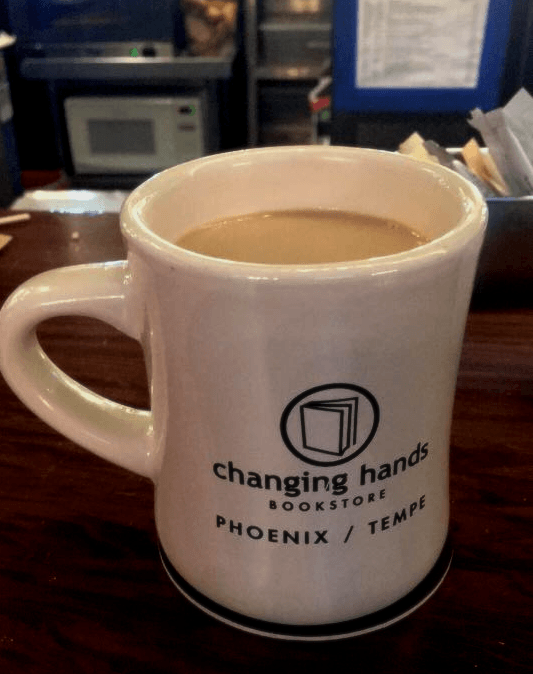 Right now at Changing Hands Bookstore all today's proceeds are being donated to the International Rescue Committee to help refugees in need. Stop by Esprit Decor Gallery with your receipt and receive one of these awesome mugs, worth $10, for free. Get them while they last!